STURGIS, S.D. 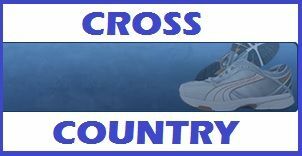 - Natrona County out of central Wyoming won both the boys and girls team titles of the Sturgis Invitational Cross Country meet Thursday. Natrona County won the boys title with a score of 42. Custer was second with a 71 and Sturgis placed third with an 80. Winning the race was Nathaniel Youngblood of Custer in a time of 16:12.27. Natrona County placed the next three runners. The top placing Scooper was Ethan Brenneman in ninth. In the girls race, Delilah Baedke of Natrona County finished in first in a time of 18:54.75. Hill City's Abby Cutler was second and Kylee Bennett of Sturgis placed third. Natrona County won the girls team title with 50 points. Custer was second with 57 and Rapid City Central was third with 71. Sturgis finished in fifth.